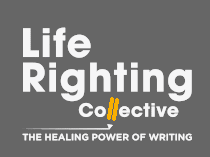 Please note: The views expressed in this blog section of the Life Righting website do not necessarily represent the views of the Life Righting Collective as an organisation. We support and encourage the expression of diverse opinions and differing points of view and invite guest blogs about life writing. We do, however, draw the line at hate speech and incitement to violence of any kind. Lerato Lehlabathe is our top book seller!